Automation and manufacturing: Can Trump bring back American jobs? One possible set-up for such centres, where holistic smart manufacturing solutions are developed, is an association in which partners from industry and research work together. Such a network can include large multinational enterprises, small and medium-sized companies, as well as highly experienced research centres. An important goal of such a collaboration model is to test innovative factory technology under realistic conditions and to move it as quickly as possible from the laboratory to the marketplace. The strength of such an association lies in its set-up as a “neutral” platform: it connects technology providers and users, regardless of their competitive situation in the business world. This means that companies with overlapping business and competence areas work together, regardless of their size, history and economic situation. Here, they can develop general standards that are independent and thus not tied to a specific company or brand, and they can offer proprietary technologies and business models for use in open ecosystems. Technology providers with complementary business or competence areas can also benefit from the networking opportunities that arise when different domains are connected, for example, at the interface between classic automation technology and IT systems, such as big data applications or digitization of maintenance processes. The network is complemented by research partners. Their role is to work on the necessary research projects and push the results into applications. Furthermore, they coordinate the collaboration of all partners. One such collaboration model has been realized by SmartFactoryKL in Kaiserslautern, Germany, since 2005. 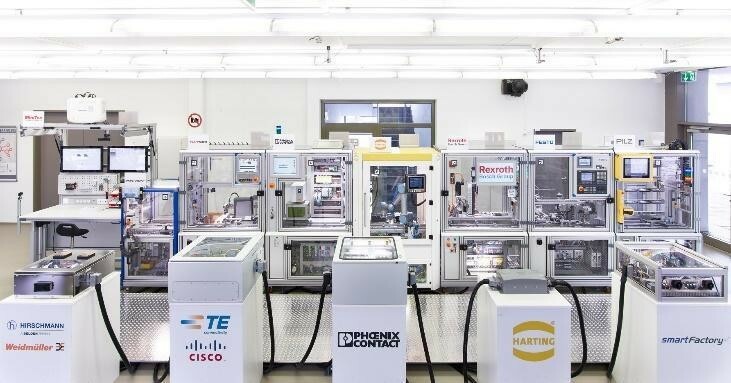 Their implementation of a highly modular production line based on Industrie 4.0 standards can be considered the first best practice example for multi-vendor collaboration. The paradigm of smart manufacturing has awakened the vision of highly efficient, customer-driven factories that seamlessly connect to smart ecosystems. But, until then, we still face numerous challenges. Proving that smart manufacturing solutions are feasible from a technical perspective is only half the job. One of the biggest problems today is the lack of technology acceptance and system interoperability. Widely accepted standards are a crucial requirement for the next industrial era, but they are far from easy to achieve. First, it requires a significant market demand driven by customers' needs – this is the market pull. Secondly, it needs a critical mass of companies, which collaborate and agree on common and marketable solutions – this is the technology push. Of course, no industrial revolution has ever taken place in haste. Instead, the changes developed over a period of several decades in an evolutionary transition driven by technological advances and market demands. 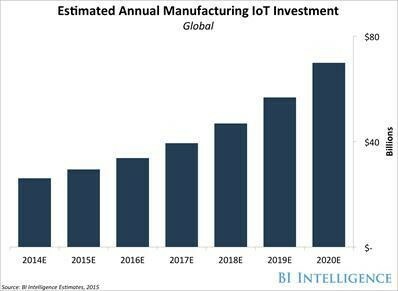 It is highly likely that the current movement towards smart manufacturing will end up being an evolution which lasts decades. If we want to speed up these developments, we need to establish more inter-organizational networks and test environments as catalysts.